ABC/Lou RoccoRihanna‘s latest single, “B**** Better Have My Money,” is making strides on the Billboard Hot 100 chart. According to the publication, the song climbs from #23 to #19 in its second week on the chart, her 35th top-20 entry. Among women she is second to only Madonna, who holds 44 entries dating to the chart’s 1958 launch. Elsewhere,”B**** Better Have My Money” moves from #5 to #4 on the Digital Songs chart, with 133,000 downloads sold in the week ending April 5, according to Nielsen Music. 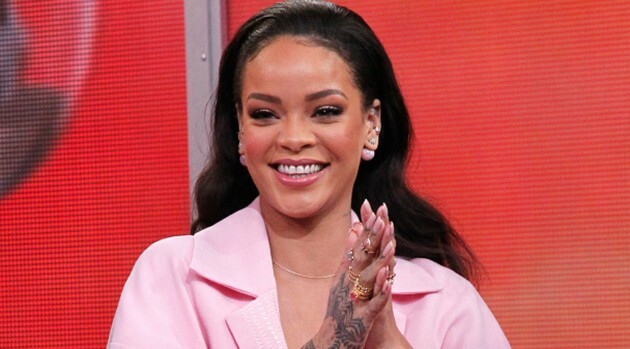 The track is the latest taste of Rihanna’s upcoming album which still doesn’t have a release date.